CAPE CANAVERAL — Desperately needing a successful deployment to modernize the communications infrastructure for its citizens, Mexico is counting on the Atlas 5 rocket to safely launch a new satellite Friday. Mexico was burned by a Russian Proton rocket failure in May that destroyed one of its communications satellites. Now, a duplicate spacecraft is poised for launch from the U.S.
Named Morelos 3, the craft is headed for geosynchronous orbit 22,300 miles above Earth to provide 3G+ cellular voice, data, Internet and video services for Mexican national security, civil and humanitarian efforts over the next 15 years to land, sea and air terminals and smartphones. “It is a very important change in our history because it generates more openness, promotes competitiveness and provides, above all, more benefits to Mexicans by offering more services with better quality and coverage at lower costs,” said Gerardo Ruiz Esparza, Mexico’s minister of communications and transportation. This is the third of three launches under the $1.6 billion MEXSAT program for the Secretaria de Comunicaciones y Transportes of Mexico. “Mexico is performing significant investments in a satellite system infrastructure project called the MEXSAT. The reform contemplates its role as one of the essential instruments to boost the development of telecommunications in benefit of all Mexicans,” said Esparza. The heart of MEXSAT was supposed to feature two high-power, Boeing-built geomobile communications satellites parked over the equator. That plan was wrecked on May 16, however, when the $300 million Centenario satellite — also called MEXSAT 1 — failed to reach orbit because the third stage malfunctioned on a Russian Proton rocket launched from the Baikonur Cosmodrome in Kazakstan. The vehicle crashed in Siberia minutes after takeoff. Despite the setback, Mexican officials still say the MEXSAT program can be realized with a successful launch of Morelos 3. The three MEXSAT launches began in December 2012 when the Bicentenario satellite — also called MEXSAT 3 — was carried into orbit by an Arianespace Ariane 5 rocket. It is a small, Orbital ATK-built satellite for C- and Ku-band communications. The MEXSAT system will provide disaster relief, emergency services, telemedicine, rural education and government agency operations for the Mexican people living in remote parts of the country. “Moreover, it increases national security institutions’ communications capacity, optimizing the performance of their duties,” said Esparza. 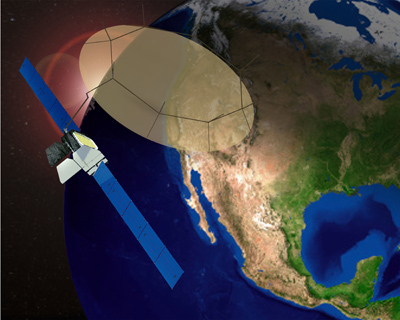 Boeing Satellite Systems International is the facilitating a complete end-to-end MEXSAT communications network, which is comprised of spacecraft, ground sites and reference user terminals. 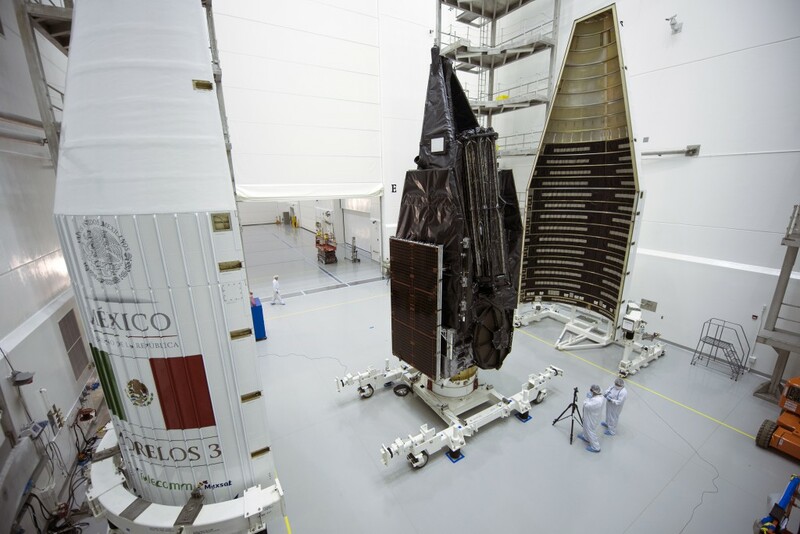 “A great number of Mexican engineers have been trained at the highest industrial standards to operate and control this satellite fleet in our country’s facilities,” said Esparza. Morelos 3 — also called MEXSAT 2 — will provide L-band mobile satellite services to handheld terminals through a 72-foot-diameter unfurlable antenna to be expanded once in space. The craft also has a 7-foot Ku-band antenna. It will be positioned in an 6-degree, inclined geosynchronous orbit at 116.8 degrees West longitude 22,300 miles above the planet. 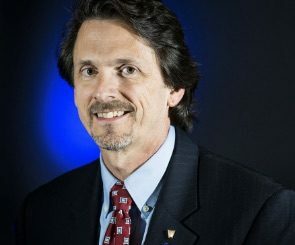 “In a country as ours with difficult geographic access and high population dispersion, satellite communications are essential tools for isolated people who live in communities where telecommunications infrastructure is not available,” said Esparza. Getting to geosynchronous orbit for the 12,000-pound satellite begins shortly before sunrise Friday at Cape Canaveral’s Complex 41 launch pad, where an Atlas 5 rocket will fly on 1.5-million pounds of thrust. 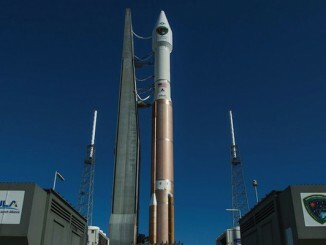 Liftoff will be possible during a 20-minute launch window running from 6:08 to 6:28 a.m. EDT (1008-1028 GMT). Weather forecasters predict a 70 percent chance of acceptable conditions. The outlook calls for scattered mid-level clouds and a broken high deck, westerly winds of 12 to 17 knots and a temperature of 75 degrees F.
About 18 minutes after liftoff, the rocket will settle into a initial parking orbit to coast away from Earth for two-and-a-half hours. A 51-second restart burn by the Centaur upper stage then boosts the payload into a high-perigee geosynchronous transfer orbit stretching 2,979 by 22,237 statute miles at an inclination of 27.0 degrees. Deployment of the satellite to complete the launch occurs over the Central Indian Ocean some two hours and 52 minutes after liftoff, or 9:00 a.m. EDT given an on-time launch. This will be the 100th flight for rocket operator United Launch Alliance, which is conducting the commercial Atlas 5 mission for parent owner Lockheed Martin. 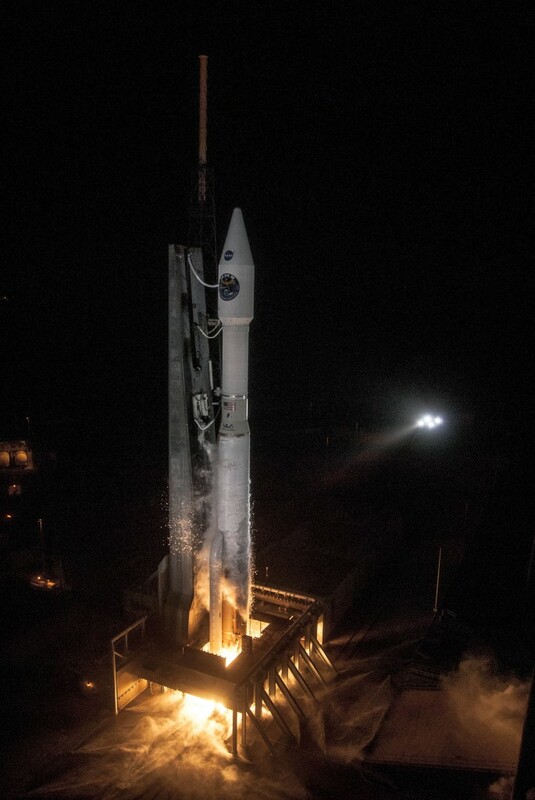 It is the 57th Atlas 5 launch since 2002 and the rocket’s 12th commercial payload. 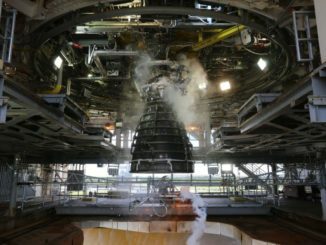 For the fifth time, a rocket is flying in the 421-variant of the Atlas 5, which features a Common Core Booster main stage with a kerosene-fed RD-180 main engine, two strap-on solids for added thrust at liftoff, a cryogenic Centaur upper stage fueled with liquid hydrogen for its RL10C-1 engine and a 14-foot-diameter, 42-foot-long aluminum nose cone enclosing Morelos 3. The first two satellites named Morelos were launched in 1985 aboard space shuttles Discovery and Atlantis on missions STS-51G and -61B.